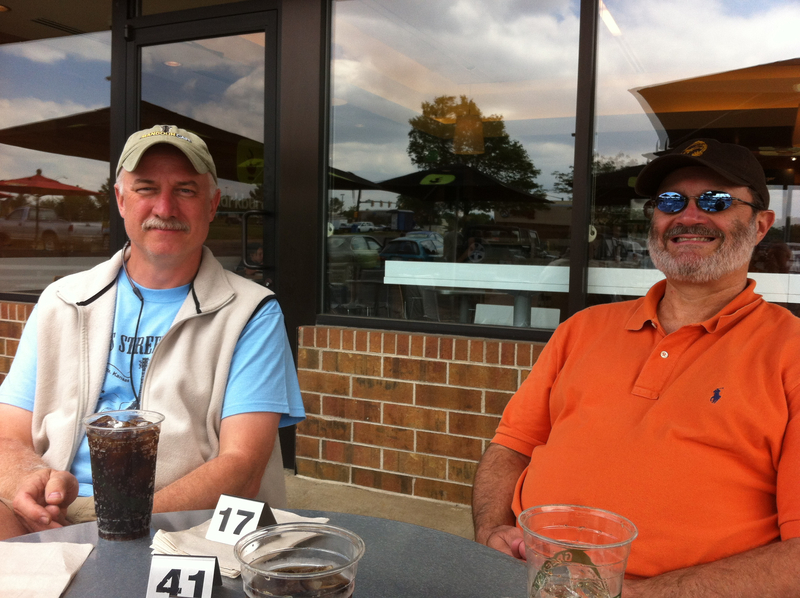 As the first culinary stop on a journey to the Telluride Bluegrass Festival, we stopped to meet a friend who had just moved to Denver from DFW. 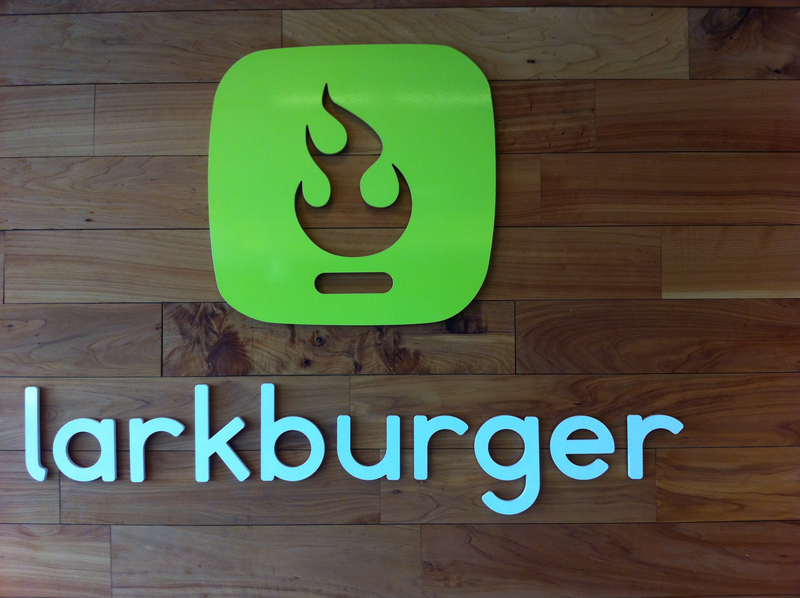 Knowing that he was new to the area, and that we had a seven and a half hour drive ahead of us, we decided on a spot close to I-70, Larkburger. We arrived a little late for lunch (around 2:30) due to delays and construction (and my inability to interpret a map) and the place was fairly empty. The first Larkburger was created on the menu of the Larkspur resort in Vail, prompting the creation of the first Larkburger restaurant in 2006. Currently, they have seven locations and are looking to expand. Their basic premise is that “fast food” doesn’t have to imply “bad for you”, so their goal is an all natural gourmet burger, served quickly. The concept is similar to that of Yeah Burger or Farm Burger back home (and numerous others around the country). 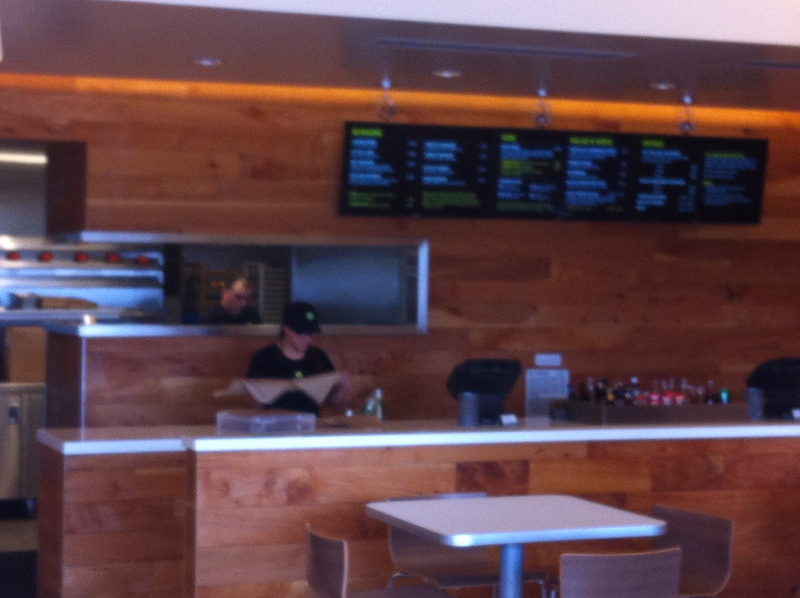 Up to the counter we went and my turn to order came around. 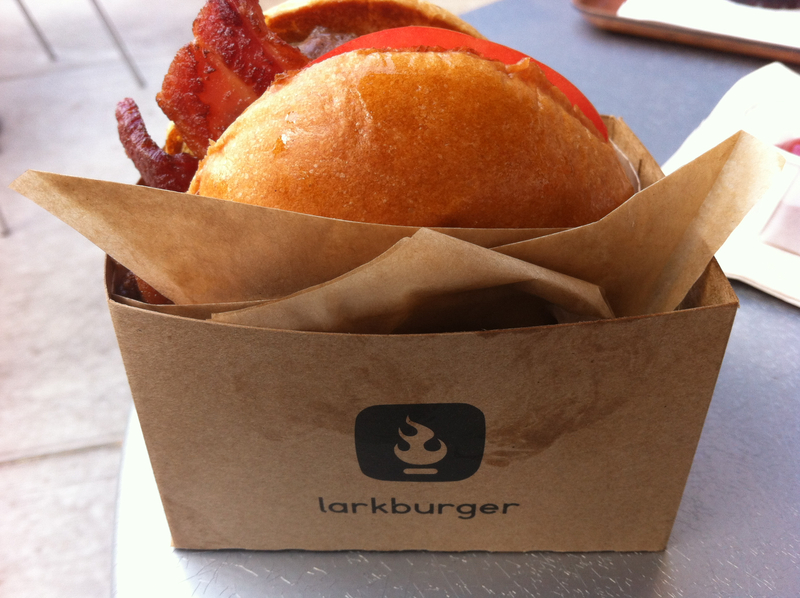 I decided on a Larkburger – a third pound of Black Angus beef, with Tillamook cheddar and bacon, prepared “medium”. The burger arrived in its own little box, wrapped in paper. I pulled it from the box, pulled back the wrapping and took a bite. It was tasty and when I looked at the missing bite, the outside of the burger was seared with a nice pink center. 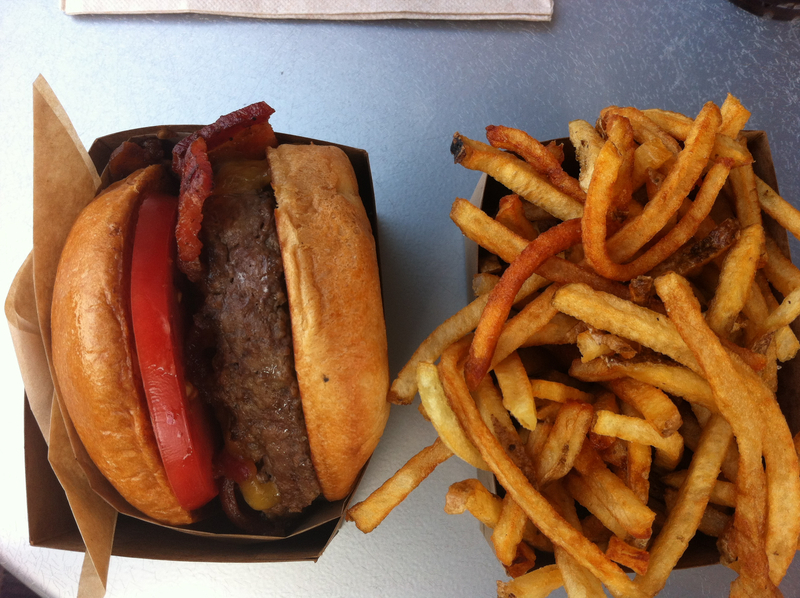 Side-by-side with my burger were the fries. The side options are hand cut russet fries (my choice), soy beans in the pod (tossed with sea salt) or fries with parmesan and truffle oil. The fries were good, although a little thin for my taste. My only complaint: Their wall proudly declares that they feature 100% natural ingredients, with no preservatives or additives and they make all of their sauces and dressings in house. I guess that explains why when I asked for mayonnaise, they told me that they didn’t have any…. If you’re in the neighborhood of one of their locations, it’s definitely worth a stop, although I wouldn’t think of it as a “destination restaurant”. I may talk to him or her about your problem. Nick at 303-916-6805. Your incompetency is unbelievable since the hiring of all the new people. Nick – it’s not my restaurant. I’m a food blogger from Atlanta.